In 1950, Dr. Robert Hulsebus moved to the Rock River Valley and opened his first office in Byron, IL, becoming Byron's first chiropractor. He waited six weeks for his first patient, and then through offering pain relief and removing interference for the body to achieve the miracle of healing and health, offices and chiropractors in Northern Illinois and Southern Wisconsin have been established. The Hulsebus family opened an office at 1255 West Empire (The Siedenburg Group building) in 1982. The Hulsebus family included Dr. Bob and his three chiropractor sons. Dr. Roger Hulsebus moved to Freeport and soon his busy practice necessitated the building of the multi-doctor office designed for chiropractors on Terra West Drive, Freeport, IL. Dr. Bob, President of the Alumni Association of Palmer College in Davenport, IA, was a 20-year friend of Dr. Jeffrey Gehlsen, who interned in the Freeport facility. The practice continued to grow and the Hulsebus' decided expansion required partnership and ownership outside of the family. Dr. Gehlsen became a partner in 1989 and Clinic Director soon after. The Hulsebus-Gehlsen Corporation has opened and maintained offices in Northern Illinois and Southern Wisconsin. Dr. Debra Welser interned at the Terra West facility in 1989 and has established her family and home in Freeport and maintains a busy practice as an associate. The Hulsebus-Gehlsen group opened a lower back center in 1992, the growth of that center has evolved into their second Freeport office, Chiro-Works. The Hulsebus-Gehlsen Chiropractic clinic has introduced chiropractic to over 12,000 new patients in the last 21 years and has been the headquarters for an additional 8 chiropractic offices in Northern Illinois and Southern Wisconsin. Dr. Roger Hulsebus is a trustee on two chiropractic college boards including Palmer. He has also been Chiropractor of the Year and along with Dr. Gehlsen and Dr. Welser served on many community boards and functions. 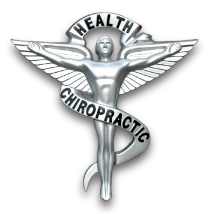 When asked to give a reason for the success of this business, Dr. Hulsebus' answer is pretty simple, "Chiropractic is a great product." We have wonderful doctors and staff committed to service, convenience and results. The chiropractic offices started by Dr. Bob some 60 years ago have always had something special - that is you, the patient.